According to WCCFTech, AMD's next-generation Vega architecture of graphics cards will see its launch on consumer graphics solutions by May 2017. 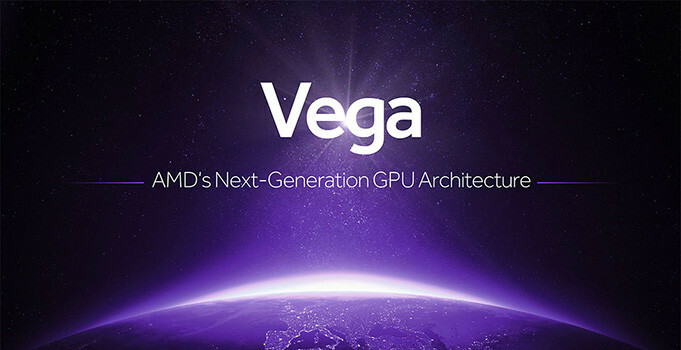 The website claims AMD will have Vega GPUs available in several SKUs, based on at least two different chips: Vega 10, the high-end part with apparently stupendous performance, and a lower-performance part, Vega 11, which is expected to succeed Polaris 10 in AMD's product-stack, offering slightly higher performance at vastly better performance/Watt. WCCFTech also point out that AMD may also show a dual-chip Vega 10×2 based card at the event, though they say it may only be available at a later date. AMD is expected to begin the "Vega" architecture lineup with the Vega 10, an upper-performance segment part designed to disrupt NVIDIA's high-end lineup, with a performance positioning somewhere between the GP104 and GP102. This chip should carry 4,096 stream processors, with up to 24 TFLOP/s 16-bit (half-precision) floating point performance. It will feature 8-16 GB of HBM2 memory with up to 512 GB/s memory bandwidth. AMD is looking at typical board power (TBP) ratings around 225W. Next up, is "Vega 20", which is expected to be a die-shrink of Vega 10 to the 7 nm GF9 process being developed by GlobalFoundries. It will supposedly feature the same 4,096 stream processors, but likely at higher clocks, up to 32 GB of HBM2 memory at 1 TB/s, PCI-Express gen 4.0 bus support, and a typical board power of 150W. Not really these are targeted at the 1080Ti not 1080. This would be about average for AMD vs Nvidia release schedule. I do however find it to be a bit annoying on the hype train as per usual. I was expecting a Jan-Feb release. One year after Pascal. FWIW, a Titan X (not full GP102 core) is 37% faster than a 1080 at 4k Vulkan Doom. 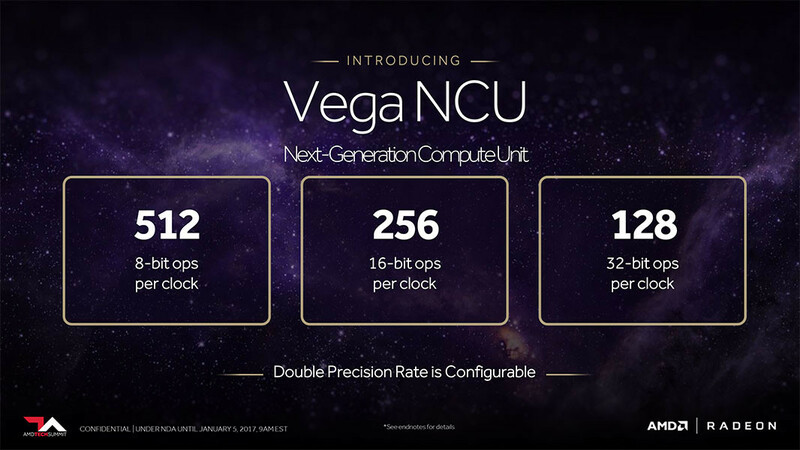 It's just when people call Vega's performance stupendous and then repeat such things, it's a bit baity. Once Vega is out it's on a smaller node, has more cores and more compute with more 'superness' than Pascal. So if it doesn't beat Titan X, it's not superb enough frankly. The architecture is a year old. Although I thought April... but May!? Ouch. Even though I'm not the target customer for this segment I have to say this looks like it will be a disappointing show from AMD. Almost half a year late and (IF the CES showing is to go by) similar performance to Nvidia's current offering will probably not be enough. But nothing is set in stone yet, I'm really interested how will this thing perform. AMD has had some delays mounting lately. The admin over at the ASUS ROG forums also stated there were missing AM4 boards at CES because of "delays with the product schedule" and "major changes to the existing samples". From the first statement we don't know if that means CPU, chipset, or motherboard. The second, it means something they wanted to include is getting chopped so the schedule isn't hurt too badly. Considering it was back in June/July Raja announce RTG had made the Vega milestone. I'd say that was first spin of silicone out of GloFo. They revise process and silicone and work the interposer and HBM2. Figure they've just got final stepping in December (and what is being shown) and now they need to build a war chest. Say what 2-3 month production at GloFo then sometime to add to the interposer and make actual cards to have a full pipe-lines. I expected it before May but I thought I read RTG would be doing a full-launch with full product availability. I think looking back at these various points it coming into view. Don't rush do it right, look to best the completion, but do what you planned and let the chip fall where they may. While I don't expect a 1080Ti killer, I anticipate a card that stay in the hunt and project RGT forward focus of there technologies. Maybe its coming under the RX 5XX name instead and there will not be an RX 490... Seems a bit odd either way as something is not lining up. Errr, no. Sorry to burst your bubble but VEGA is not going to touch the 1080Ti for performance. It's going to scrape past the 1080 if you're lucky, and HOPEFULLY at a good price, but knowing AMD I wouldn't be surprised if they price it identically. Vega 11 replacing Polaris 10? So is this going to be a complete next gen product stack aka RX 5xx? I thought its supposed to add to the current product stack at the high end. The information seems off. I'd expect big Vega to be about 10% slower than the Titan X. Take a look at the review of the TitanX and use the performance summary numbers as a metric. Look at the Flops numbers over the past few generations and we can do a Performance per Flop (AMD historically has higher theoretical GFLOPS numbers than nVidia for a given performance level). Do backwards math given that we know Vega is 12 Tflops and AMD averaged 7.6 performances per Teraflop. From there, 91.6% performance vs TitanX. Actually seems pretty reasonable, so it'll be about where the 1080TI is likely to be and it'll come down to specific optimizations. *I know this methodology is super hand-wavey. But it gives is another piece of information. So if we plot out all of these cards as Gflops vs Performance and fit a basic trend line we get that big Vega would be around 80% of Titan performance at 12 TFlops. (this puts it even with the 1080). So for AMD to be at 1080TI levels, they'll need to have improved their card efficiency by 10 - 15 percent for this architecture. Given the number of changes they've talked about with this architecture, I don't think that's infeasible but it is a hurdle to overcome. Filling the SPs with the much enhanced scheduler should do it easily. I actually don't think AMD is late - AMD just didn't play in the high end this generation for various reasons. The problem will be what sort of performance does Vega offer up. If it's faster than a Titan XP, we'll praise AMD for its foresight, if it doesn't, most of us will be going wtf. lol. Perhaps a 17% discount on the 1080 currently is not such a bad deal after all.. If Vega only comes around in May. Also - Is it a driver thing that makes AMD faster in Vulkan API? 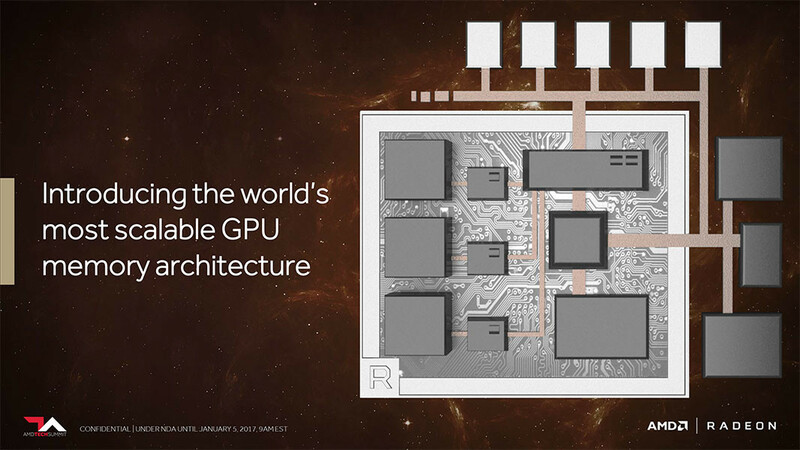 Or will Nvidia need a brand new architecture in order to catch up with that? Their video cards typically deliver what was promised. This isn't bulldozer. Branch, there's a reason why Volta was pushed back (and Pascal didn't exist on engineering slides until a year and a bit before release). Vulkan\DX12 caught Nvidia with their pants down, so Pascal ended up being a Maxwell+ arch to use as a stepping whilst Volta is rearchitected. Vendors always previews the products with the most favorable benchmarks. AMD chose to use DOOM, which is a AMD favoring game. They even said the benchmark of DOOM that this is how Vega 10 will perform, which means it's a GTX 1080 competitor, not a GTX 1080 Ti competitor. Vega 10 is also roughly the size of GP102, but considering Pascal is 80% more efficient than Polaris. Let's give AMD the benefit of the doubt and assume they manage to cut this advantage in half, which would mean the Vega 10 will roughly perform in the range of GP104. In 2013, Volta was present but it's HMC design stalled somewhat. In 2014 (that would be almost 3 years ago, Volta had disappeared from the road map. In 2015, Volta reappeared and it seems very much for a late 2017 release, though it's far enough to be 2018. So really, Vega, DX12 etc has got nothing to do with Volta. The memory arrangement affected his position. Please bear in mind that the only reason Titan X is £1100 is because AMD have NOTHING to touch it with. Nvidia couldn't care less about DX12 and Vulkan for it's GFX cards - their own mid range GP104 (not GP102 and not GP100) is still top dog. Nvidia by your own definition (a revamped Maxwell masquerading as Pascal) don't even need to try to stay King of Cards.